Orthodontic treatment is provided at either Warrington Hospital or Halton General Hospital. The Orthodontic Team is led by Mr Ian Edwards, Consultant Orthodontist. Your bite must be of a certain complexity to be treated in the hospital environment. Such bites include those of patients with missing teeth and/or impacted teeth and patients that need a combination of braces and jaw surgery. A number of routine cases will be seen in the department for teaching purposes. Staff will be willing to discuss your care with you, in order for you to make fully informed choices. nce your name comes off the waiting list you will be sent an appointment to be seen on the nurse led Oral Health Education Clinic. To instruct you on the most effective way to look after your teeth and orthodontic appliance (brace). Discuss the risks associated with treatment and how they can be reduced. Ensure you feel motivated and have enough information to embark on a course of treatment. The first visit will consist of applying a disclosing solution to your teeth; this will allow an oral health assessor to measure the amount of plaque on your teeth. Plaque is a colourless sticky substance that contains bacteria. It collects on the tooth surface, at the gum margin and in between the teeth. If it remains on your teeth without you brushing it off it will cause irreversible damage to your teeth and gums. A sugary diet helps the plaque grow and this will cause even more damage. If you find tooth brushing difficult without a brace on then it could be that you need a little more help with ideas on how to clean your teeth more effectively. Once the brace is on it is more difficult for you to keep your mouth clean so we need to be sure that you can manage this before we start your treatment. It is better to have healthy crooked teeth than to have teeth have been damaged as a result of the brace. Once the nurse has worked out your plaque score this will help us decide if your tooth brushing is good enough for orthodontic treatment. You will need to get a plaque score of 15% or less. This means that 85% of your tooth surfaces should be free of plaque, this should not be difficult to achieve if you are keen to have orthodontic treatment. If at the first appointment you don’t achieve the target plaque score then you will be shown how you can improve your tooth brushing. You will get another appointment to see if you can achieve the level of plaque control necessary for treatment. If you fail your second plaque score then you will be given one more appointment to see if you can pass. If at the third appointment you fail to meet the required standard you will not be offered treatment as the risk to your teeth and gums from poor oral hygiene may outweigh the benefits of orthodontic treatment. This will all be discussed with the Consultant Orthodontist at a review appointment. When you achieve the desired level of oral hygiene for treatment the nurse will discuss with you how the orthodontic department operates, what may be involved in your brace work and what you may expect in your next few appointments. We can tell if you come to your appointments having just your brushed your teeth really well as your gums will be inflamed and bleed easily. If this is the case then we will also have to wait until you keep your teeth clean all the time and the gums are healthy. Effective toothbrushing with fluoride toothpaste is the best way of preventing tooth decay and gum disease. A small soft to medium texture toothbrush should be used to allow all surfaces of the teeth and gum margins to be cleaned easily. When the bristles of the toothbrush become permanently bent then it is time to change your brush as the removal of plaque becomes less effective. An electric or hand held toothbrush can be used with the same efficiency it depends on your preference. Small movements with gentle pressure should be used when brushing, taking care to remove plaque from all areas on and between the teeth. The most commonly missed area that causes problems is where the tooth meets the gum below the squares (brackets). Inter-dental brushes (as pictured) should also be used to clean in and around all parts of brace or for all hard to reach areas between the teeth. Brushing should be done twice a day but an additional brush is needed when wearing a brace to help to keep the mouth and brace clean, healthy and prevent damage to teeth. A pea sized amount of fluoride toothpaste should be used. Once brushing is finished and remaining toothpaste should be spat out not rinsed. A healthy diet is important to help look after your mouth and general health. Eat a balanced healthy diet. Sugary foods and drinks should be limited to mealtimes only. Fizzy and acidic drinks should be avoided. The fixed braces are stuck on with a special glue. The glue is not “Super-glue” as the squares need to be removed at the end of your treatment. Hard and sticky foods should be avoided as they can damage your brace. Food such as crusty bread, chewing gum, nuts and hard toffees should be avoided. You should cut food up smaller so they are manageable. Fruit like apples can be cut rather than incised to prevent a bracket from being knocked off. If you knock a bracket of your treatment can take longer to get through. Also avoid biting finger nails and pens. You must throughout your orthodontic treatment continue with regular check ups at your dental practice so that the health of your teeth and gums can be checked. The orthodontist will only check the alignment of your teeth. What happens at the records appointment? Once you have achieved a plaque score of 15 % or below at the Oral Health Education Clinic you will be given an appointment at an Orthodontic Treatment Clinic to collect records so that an Orthodontic Treatment Plan can be made. At the Records Appointment a detailed orthodontic assessment will be carried out. This will be similar to the assessment you had when you first came to the New Patient Clinic .This will most likely be with the same person who will be carrying out your orthodontic treatment. After looking at your teeth, photographs will be taken of your face from the front and the sides. This is so an assessment can be made of what your teeth look like in relation to your face. This is very easy and only takes a minute. Photographs are also taken of your teeth themselves. Cheek spoons (retractors) are used to gently pull back your cheeks so we can see your teeth. Impressions of your teeth (moulds) will also be taken at this appointment. X-ray pictures may then be required, for which you will have to go to the Radiology Department. This is in the same building as the Orthodontic Department. The orthodontic appointment itself should take no longer than 45 minutes, although if you have to have X-ray pictures taken this will add additional time. At your next Orthodontic appointment we will have your moulds back from the laboratory and X-Rays will be available for us to discuss your Treatment Plan with you. The advantages and disadvantages of having Orthodontic treatment and the different options available will be explained. You will have the opportunity to ask any specific questions regarding your treatment. You will need to complete a consent form so, if you are below 16 years of age, then you will need a parent or your legal guardian to sign on your behalf. Even if you are older than 16, it is a good idea to bring someone with you with whom you can discuss any concerns or ideas that you may have about your treatment. Once we have explained about your proposed treatment you may still feel unsure whether you would like to proceed. There is never any pressure placed on you at any stage to go ahead with something that you are uncertain about and if there is any doubt you can go away to consider your options or re-visit treatment in the future. Patients that comply poorly with orthodontic treatment are usually patients that didn’t really want treatment at the beginning. If your treatment is complex or involves input from another specialty, such as Oral and Maxillofacial Surgery, occasionally an additional appointment may be organised to further discuss the treatment plan and answer more specific queries relating to your bite. Fixed appliances, often known as ‘train track braces,’ are the most common type of orthodontic appliance used. The way the brace works is that the wires exert small forces on the teeth through brackets (squares) to allow them to move to a straighter position. The brackets are attached to the teeth with orthodontic glue and the wires are attached to the brackets with elastic rings, which come in different colours. What happens when my fixed braces are applied? One week before your fixed braces are applied you will have a short appointment so that some separating rings can be placed to create some space between your molar teeth. When you have your braces fitted it is important that your teeth are really clean and your gums are healthy. If you have any calculus on your teeth you should see your dentist before your appointment to have your teeth scaled. The time it takes to put your braces on is determined by how many brackets need applying to the teeth, but usually takes between 30-60 minutes. Depending on your bite, braces will be placed on either your top or bottom teeth or both. You will be given instructions on how to look after your braces at the time they are fitted and also at the Oral Health Education Clinic. You can buy an Orthodontic Starter Pack, from the reception staff, which contains everything you need to care for your mouth during the time you have your braces on. Fixed braces are not painful when applied but, having to have your mouth open for a while may be a little tiring on your jaw joint. Your teeth will possibly start to ache for a few days after the brace has been fitted. To counteract this you may take a painkiller beforehand, such as the ones you would normally take for a headache. Please read the instructions to see if you are able to take them and the dosage. Your teeth will ache for a few days but this will gradually ease. The aching sensation indicates that your teeth are responding to the orthodontic forces and means that your teeth have started to move. The braces often feel big and bulky to begin with. They may rub the cheeks, lips and tongue. You can use wax from your starter pack to help prevent the braces from rubbing. The skin in your mouth soon adapts to the new brace. Warm, salty water mouth washes may help initially. At first your teeth will be a little tender so you will probably just want to have a soft diet. When the aching sensation has subsided you will be able to resume a normal diet. However, you must avoid hard, chewy and sticky foodstuff, such as peanuts, toffee, chewing gum, etc. These types of food require greater biting forces to chew and as a result you could easily dislodge the glue that secures the brackets to your teeth. Bulky food such as apples, burgers and baguettes should be cut into small pieces before being placed in your mouth. Sticky food will adhere to your brace and will make cleaning your teeth and gums much more difficult. The orthodontic glue is not permanent glue so, if you treat your brace roughly, it will break. Evidence shows that patients who frequently break their brace will require orthodontic treatment for longer. As long as you follow a sensible diet you will have no problems. This includes controlling your sugar intake. Sugar from sweets, biscuits and chocolate should be restricted. Sugar and acid in drinks (fizzy drinks, fruit juices, sports drinks, diet drinks)should be avoided. You should make sure you continue your normal liquid intake, choosing healthier alternatives such as water, milk, tea and coffee without sugar. A poor diet during orthodontic treatment will mean that the bacteria in your mouth will produce more sticky plaque and acid to decay your teeth. The early signs of decay will cause unsightly white-brown marks on your teeth. These marks are permanent and more serious ones will eventually turn into a hole. The affected teeth will then require a lifetime of fillings from your dentist. Pictured below the effects of poor brushing and diet, causing white marks and poor gum health. How do I clean my teeth and gums with my fixed brace in? It is essential that you clean your teeth and gums really well three times a day with a fluoride toothpaste. During the daytime you are likely to get bits of food stuck between your braces. Despite this not looking and smelling good, if left for a long period of time it could do some damage to your gums and teeth (see picture of Severe Decalcification). You should brush your teeth after meals with a toothbrush and inter-dental brush. Remember you will have to spend longer caring for your mouth when you have a brace in as it is more difficult to clean around the “squares” and wires in your mouth. It is crucial that you pay particular attention to the area between brace and gums. This area attracts plaque and food debris very easily. If you don’t brush your teeth well from the day the brace is applied, the gums will swell around it and they will remain swollen until the day it is removed. This area is also a common site for the white -brown marks to develop, leaving permanent scars on your teeth. It is also advisable to use a fluoride mouthwash to keep your teeth healthy. You do not need to spend a lot of money on a mouthwash as long as it contains 0.05% fluoride. The cheapest supermarket brand will be quite adequate. Ideally you should use a mouthwash at a different time to when you brush your teeth but sometimes this is not practical. Using a mouthwash is not a substitute for good tooth brushing. If you have dirty teeth the fluoride in the mouthwash will also not absorb onto your tooth surface. The orthodontist providing your treatment will normally see you every 6-8 weeks. An average treatment will take between 18-21 months. Treatment can be shorter or longer than this depending on how complex your bite is. As you are being seen in the hospital it is likely that your bite will be complex and may take longer than 21 months to treat. By being conscientious you can have some control of your treatment. Patients who fail and cancel multiple appointments and/or have repeated breakages of their brace will add to their overall treatment time. It is important that you follow the instructions given to you. It is very common for patients having orthodontic treatment to be asked to change elastics twice a day. If you don’t change your elastics or, worse still, if you don’t bother to wear them at all, then your treatment will take longer or end in a poor result. Putting on the elastics requires a little practice but is very straight forward. If you need to wear elastics it will be explained to you how to put them on and what they are trying to achieve. What happens when my fixed brace is removed? When your fixed brace is removed you will have impressions and photographs taken of your teeth. You will get another appointment in 2-3 days time to have your removable retainers fitted. It is important that you don’t cancel this appointment otherwise your teeth will move. A bonded retainer behind your teeth may be fitted and this depends on your individual bite. Find out more by looking at the information on retainers. If you break your brace then contact the department to make another appointment as soon as possible. It depends on the specific problem as to whether you need to be seen urgently. For example, if a wire is digging in causing you pain then we will see you as soon as we can. If your brace breaks at the weekend, provided your problem does not need urgent attention, then you can wait until Monday morning to contact us. If you need urgent assistance outside of opening hours, contact NHS 101 and they can direct you to an emergency dentist who can relieve your pain until we next see you. If you repeatedly break your brace we may have to stop your orthodontic treatment prematurely. Should I wear a gum shield? You should wear a mouthguard (gum shield) for playing contact sports or any activity in which there is a risk of damage to your teeth e.g. skateboarding. The cost of a gum shield made by a lab technician (see picture of custom made gum shield) is £35.00(£40.00 if you want two colours). These gum shields need to be made specifically to fit the shape of your mouth and for this reason they are the best type. As your teeth move with the orthodontic treatment the shape of your mouth will change. You may, unexpectedly, on a day you are due to play sport, find that your mouthguard no longer fits your mouth. The department also sells gum shields that are preformed (see picture of stock gum shields). The cost of these gum shields is £25.00. Unlike the custom made gum shields there is no need for an impression of your teeth. Custom made gum shields take one week to make whereas preformed/stock gum shields can be bought straight away from the department. Wind instruments, particularly the flute or brass instruments, can be more difficult to play when first wearing a fixed brace. It is like playing a new instrument, the more you practice the quicker you will get used to it. There is some evidence that brass instruments may cause more discomfort and tend to interfere with the embouchure to a greater extent. This may cause a deterioration in your musical performance after your brace has been fitted and after each subsequent appointment for adjustments. It is perhaps better to delay the fitting of your fixed brace if you have any imminent exams, performances or auditions. You should inform your orthodontist which instrument you play before starting your treatment. If you are really worried about the effect the brace might have on your ability to play your musical instrument, the orthodontist can just fit a small section of brace to see how you cope. Why have I been asked to wear a functional appliance? Your top teeth are normally ahead of your bottom teeth by about 2-4mm. This distance is called your ‘overjet’. When your overjet is increased, your orthodontist may advise that you need to wear a functional appliance. Functional appliance treatment is usually the first and most important part of your treatment. Once the overjet has been corrected you will have fixed braces to improve the alignment of your teeth (see fixed braces). Successful functional treatment will help make your overall orthodontic treatment more straightforward and may avoid the need for tooth extractions. Functional treatment is generally only used in patients who have growth potential. A functional appliance is a removable orthodontic brace(usually in 2 parts) that moves the top and bottom teeth at the same time to correct your increased overjet. The most common functional brace we use is the Twin Block. The top and bottom parts of the Twin Block brace have plastic blocks on the biting surface. These blocks mean that when you are wearing your brace you must bite together with your lower jaw being brought forward. This stretches the muscles you use to chew, and the forces generated are transmitted to your teeth. The result is that your teeth will move to correct your overjet. It will not work if you just wear one of the blocks as this will not force you to push your bottom jaw forwards. How is the functional brace fitted? The orthodontist will take impressions (moulds) of your top and bottom teeth so that your brace can be made to fit the shape of your mouth exactly. The brace will take approximately 2-3 weeks to be made by a specialist laboratory technician. You will be given an appointment to fit your brace after your impressions have been taken. The brace is removable so your orthodontist will show you how to insert and remove it and they will make sure that you are confident about taking it in and out of your mouth before you leave the department. What should I expect when it is first fitted? When the brace is first fitted it will feel a little bit bulky in your mouth. This is to be expected and you will soon become used to it. You may feel as though you are producing more saliva than usual and need to swallow a lot at first. This is normal and the brain will soon send signals to the body to say that you have a brace in your mouth and not food. It is likely that your speech will be different at first. This is because the brace extends over the roof of the mouth. You should practice speaking out loud to allow your tongue to adapt to your new appliance and your speech will return to normal within a couple of days. It is likely that your teeth and jaw muscles may feel tender following your brace being fitted. This means that your teeth and jaws have started to move already. If necessary, painkillers such as ones you would normally take for a headache, may help (please read the instructions on the packet to decide if you can take them and the dose that you require). How long will it take me to get used to my brace? The first week with your new brace is very difficult. It would be quite easy to give up very soon after the brace is fitted. However, the more you wear your brace, the more quickly you will get used to it and soon it will become very easy to wear. In fact some patients after time find it very difficult to be without their brace. It should take no more than a couple of weeks to fully adjust to your brace. How often do I need to wear my brace? You will be expected to wear your brace full time. It is important that when you are wearing your brace you have your lower jaw in the forward position. This is what makes the brace work. You should be able to wear your brace whilst eating as this is when the chewing muscles are most active. If you are unable to eat with your brace in and you have to remove it, you must make sure your brace is placed in a brace box or plastic container, to prevent it being damaged. You should put you brace back into your mouth immediately after eating. It is important you follow a sensible diet to prevent damage to your teeth, gums and brace. Avoid hard, sticky and chewy foods (e.g peanuts, chewing gum, crusty baguettes). Avoid drinking fizzy and sugary drinks (coca-cola, lemonade, sports drinks, including diet drinks, fresh fruit juices). You should take your brace out for cleaning every morning and night, and after each meal. You should clean your brace to remove any food or debris with a toothbrush and water. It is really important that you clean your teeth 2-3 times per day with a toothpaste containing fluoride. Take your brace out to clean your teeth. Functional appliance treatment is usually the first part of a 2-phase orthodontic treatment. This stage usually takes 9-12 months and depends on how well you wear your brace and the original size of your overjet. Normally you would expect your overjet to reduce by approximately 1mm a month. However, as soon as your overjet has fully reduced you will be asked to wear your brace evenings and night times only until you are ready for the next stage of your treatment. Overall treatment, including the fixed brace second stage, can take 2-3 years. How often will I need an appointment to check my brace? You will have an appointment with your Orthodontist every 6-8 weeks to have your brace adjusted and check your progress. Do I still need to attend my dentist while I am having my brace treatment? Yes, it is really important that your keep up all your routine appointments with your General Dental Practitioner. You should remove your brace for contact sports and/or swimming, cycling, roller skating and similar activities. When not in your mouth ensure you place your brace into its protective case to prevent damage. What do I do if I break my brace? You should contact the orthodontic department as soon as you notice your brace is damaged. If your brace needs to be repaired it will have to be sent to a dental laboratory outside the hospital. This can take up to a week depending on how much damage has been done. Your teeth may move back to their original position. It is therefore important you try to avoid damage to your brace. What do I do if I lose my brace? Contact the department as soon as you can, as time without your brace in your mouth will delay the progress of your treatment. You will have to have to pay for your brace to be remade, which currently costs £60 per part. How is the removable brace fitted? The orthodontist will take impressions (moulds) of your top and/or bottom teeth so that your brace can be made to fit the shape of your mouth exactly. The brace will take approximately 2-3 weeks to be made by a specialist laboratory technician. You will be given an appointment after your impression(s) has(have) been taken to fit your brace. The brace is removable so your orthodontist will show you how to insert and remove it and they will make sure that you are confident about taking it in and out of your mouth before you leave the department. It is likely that your speech will be different at first. This is because the brace extends over the roof of your mouth. You should practice speaking out loud to allow your tongue to adapt to your new appliance and your speech will return to normal within a couple of days. It is likely that your teeth may feel tender following your brace being fitted. This means that your teeth have started to move already. If necessary, painkillers, such as ones you would normally take for a headache, may help (please read the instructions on the packet to decide if you can take them and the dose that you require). The first week with your new brace is very difficult. It would be quite easy to give up very soon after the brace is fitted. However, the more you wear your brace, the more quickly you will get used to it and soon it will become very easy to wear. In fact some patients, after time, find it very difficult to be without their brace. It should take no more than a couple of weeks to fully adjust to your brace. Normally you will be expected to wear your brace full time. You should be able to wear your brace whilst eating. If you are unable to eat with your brace in and you have to remove it, you must make sure your brace is placed in a brace box or plastic container, to prevent it being damaged. You should put your brace back into your mouth immediately after eating. It is important that you follow a sensible diet to prevent damage to your teeth, gums and brace. Avoid hard, sticky and chewy foods (e.g peanuts, chewing gum, crusty baguettes). Avoid drinking fizzy and sugary drinks (coca-cola, lemonade, sports drinks, including diet drinks, fresh fruit juices). Do I still need to attend my dentist whilst I am having my brace treatment? Yes, it is really important that you keep up all your routine appointments, including check-ups, with your General Dental Practitioner. You should remove your brace for contact sports, swimming, cycling, roller skating and similar activities. When not in your mouth, ensure you place your brace into its protective case to prevent damage. You should contact the orthodontic department as soon as you notice your brace is damaged. If your brace needs to be repaired it will have to be sent to a dental laboratory outside the hospital. This can take up to a week depending on how much damage has been done. Your teeth may move back to their original position. It is therefore important you try to avoid damage to your brace. A common cause of breakage is when patients do not take the brace in and out as instructed. They click the brace in and out with their tongue and eventually this results in the wires breaking. Contact the department as soon as you can as time without your brace in your mouth will delay the progress of your treatment. You will have to have to pay for your brace to be remade, which currently costs £60. Corrective Jaw Surgery (Orthognathic Surgery) is concerned with the correction of dento-facial deformity and is performed by a combination of fixed orthodontic braces and surgery to one or both of the jaws. If you have a jaw deformity, then orthodontics alone will not correct your bite and, in order to move the teeth into the best possible position, the supporting bones of the jaws must be moved to give you a functioning bite. The whole treatment is highly complex and can take more than 3 years. 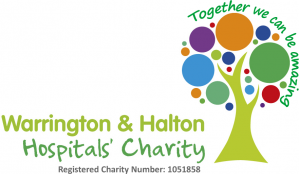 Although at Warrington and Halton we have many patients each year undergoing this type of treatment with great success, it is not something to be undertaken lightly. This is why we spend a number of appointments with you to make sure you are fully informed about what the treatment involves. Once we have commenced the treatment it is difficult to undo the preparatory work that has already been done and this can make your bite worse if you decide not to go ahead with surgery at a later stage. When you have been seen on a New Patient Clinic by Mr I Edwards, Consultant in Orthodontics, for more information please read Referral to the Orthodontic department. You will be given an appointment on the Oral Health Education Clinic, information can be found on that section on this service page. You will have to achieve a plaque score of 15% or less if you are to have treatment in the department. As this type of treatment is complex and takes a long time we need to be sure that you can keep your mouth clean so that you are not at risk of causing permanent damage to your teeth and gums. Once you have attended the Oral Health Education Clinic we will arrange a Records Appointment so that we can gather further information about your mouth and jaw(s) before being seen on a Joint Clinic with an Oral and Maxillofacial Surgeon and Mr Edwards. The surgeon at Warrington is Mr M Dodd and the surgeon at Halton is Mr D Richardson. The Surgeon and Orthodontist need to be sure that they have a good plan before starting your treatment. You will be seen on a joint clinic with both the Surgeon and the Orthodontist so that they can assess you and discuss in detail the best way to deliver your treatment. It is likely that this is the first time you will meet the Surgeon. At this appointment there is a lot of information to take in. It is quite common that you will need a further appointment with the Surgeon to discuss your worries or concerns. It is useful if you write down any questions that you have thought of beforehand, that you may wish to ask us. Once you have attended the Joint Clinic and the Surgeon and Orthodontist agree that treatment is possible, you will commence treatment with the Pre-Surgical Orthodontics. It is necessary to have orthodontic treatment with fixed braces (read Fixed Braces) prior to your surgery. The purpose of the orthodontic treatment is to straighten your teeth and move them into the best possible position for the surgeon to move your jaw(s). The fixed orthodontic braces remain in place throughout the whole of your treatment, with the surgery taking place two thirds of the way through. Sometimes it may be necessary for your dentist to extract a tooth to allow the orthodontist to move the teeth into the planned position. The brace work before your operation will take, on average, 18 months. The timescale can be shorter or longer depending on how quickly your teeth move and how crooked they are to begin with. Research has shown that orthodontic treatment time is extended if patients repeatedly break their brace, cancel or fail to attend appointments or do not wear elastics as instructed. Approximately 6 months before your surgery, the surgeon may request that the wisdom teeth are removed. This is only necessary if they obstruct the area on which the surgeon will be operating during the jaw surgery. When the Orthodontist thinks that the teeth are nearly ready for your jaw surgery, they will take some models of your teeth to make sure that your bite fits together well once the surgery is completed. You will have the braces on during your surgery and 2 weeks before your surgery you must contact the Orthodontist to ensure that some hooks are placed on your brace to enable the surgeon to do the operation. It is very important that you let the orthodontist know immediately if any of your attachments become loose or undone between this appointment and your admission to hospital for the surgery. Corrective jaw surgery involves the planned fracture of the jaw(s) in such a way as to allow the jaw(s) to be reset in a new position to improve function and appearance. Once the models of your teeth, taken by the orthodontist, show that the teeth are in a good position, then you will be seen on the joint clinic once again. The jaw surgery is done at Fazakerley Hospital, Aintree and during your stay you will have a bed on Ward 29. An anaesthetist will put you to sleep for the surgery and the operation will take between 3-6 hours. Usually, the operating is done from inside the mouth so that there are no visible scars on the face. Small plates and screws are used to hold the jaw bones in their new positions. The plates and screws are not visible and will not usually need to be removed. The bone takes 4-6 weeks to heal and during this time you will need to be on a soft or liquid diet, so it is a good idea to invest in a food blender ready for your return home after the operation. There is usually some weight loss and this can be minimised by maintaining a good calorie intake and following the advice which will be given to you before you leave hospital. You should eat small amounts more frequently and take plenty of fluids. We strongly advise that you weigh yourself daily to ensure that you are not losing too much weight. It is also wise to avoid smoking and taking any alcohol for the first few weeks after your operation, to prevent the surgical site from becoming infected. What happens when I wake up after the surgery? Immediately after your operation your mouth will be sore but, despite this, it is very important to keep your mouth extremely clean, otherwise it will make your mouth even more uncomfortable. After your operation, you will have soreness, discomfort, jaw stiffness and facial swelling which usually settles down within 6 weeks. Although most of the swelling subsides within this time period, you may get some residual swelling that may take up to a year to fully resolve. If the operation is on the lower jaw, then it is likely that you may experience temporary numbness or tingling of the lower lip. If the operation is on the upper jaw, then you may experience temporary numbness of the upper lip and adjacent cheek. Whilst your lip is numb you will not have any feeling in it. You should take care not to bite your lip or burn it with hot drinks or food. As the sensation gradually returns you will feel a “pins and needles” sensation but it may take months for things to fully return to normal. In a small number of patients, this numbness could be permanent, but this would not affect the way you move your lip. Will my jaws be fixed together? Most patients will require strong elastic bands between their upper and lower teeth after the surgery to maintain the new jaw position and help guide the teeth into the best possible bite. The elastics will usually be placed several days post-operatively and will be used to hold the teeth together for approximately 3 to 6 weeks. You will normally be in hospital for 2-5 days depending on the complexity of the surgery and how you feel after your operation. You will need at least four weeks off work and possibly longer, depending on your occupation. If you have a manual job then you should start with light duties when you return to work. You should not travel by air for at least 6 weeks, particularly if you have surgery to your top jaw, as this may cause problems with your ears. Remember the surgery is a controlled break of the jaw(s) so you should not play any contact sports for at least 10-12 weeks. If you are taking the contraceptive pill it will be necessary for you to consider discontinuing its use, if it is progesterone based, approximately three months prior to the surgery. Please keep us informed of any other tablets or medicines your doctor has prescribed for you. You should see the orthodontist within 7-10 days of your operation to check that the brace is intact and to see if the teeth are in the correct position. Usually it is too uncomfortable for the orthodontist to change the brace straight away and they will wait 6 weeks before doing so. The orthodontist may change the direction and force of the elastics to help settle the teeth in. Once the jaw has healed, your braces will need to remain in place for a further 6-9 months to lock your teeth in the best position and, hopefully, stop the jaw(s) moving back to the original position. After your treatment you will need to wear retainers to stop your teeth from moving (read Retainers). Do the plates and screws stay in? The majority of plates and screws remain in place for ever and do not give rise to problems. However, occasionally the plates/screws can become sore or develop a minor infection and you may need another operation to have them removed. The plates and screws do not cause any problems with airport security, contrary to popular belief. What will the final result be like? It is difficult to predict exactly what the final result will be like as every patient is a unique individual. You will be given an indication of the sort of changes you can expect but, unfortunately, we cannot show you accurate pictures of what you will look like after your treatment. In addition, operations sometimes cause subtle alterations in the shape of the nose and neck line. Any potential complications and risks will be discussed with you fully to help you decide whether you wish to go ahead with treatment. Wearing retainers, usually Essix Retainers, is the most important part of your treatment. Without retainers your teeth will definitely move. The extent to which your teeth will move is quite variable. They can go back to the original position or become even worse. How long will I have to wear retainers for? At first you will be asked to wear your retainers full time for a week. You should remove them for tooth brushing, drinking anything acidic, such as fruit juice, fizzy drinks etc., and eating anything that is difficult to chew. After a week you should wear your retainers every night (approximately 10-12 hours) for a year and then every second night for a further twelve months. After two years you should wear your retainers approximately one night a week for life, if you wish your teeth to stay in the same position. The same method does not apply to every patient as everybody is different. Some people need to wear their retainers more and you can tell that this is the case if the retainers feel tight when you put them in. How do I care for my retainers? You should wash your retainers each time you remove them from your mouth. You should clean your retainers with cold water and a small headed toothbrush. Warm water can melt your retainers and toothpaste causes scratches and damages the material they are made from. When your retainers are not in your mouth you should keep them in a hard plastic box, to stop them from being lost or damaged. What happens if I lose or break my retainers? If you lose or break your retainers then you should contact the department as soon as possible so that replacement retainers can be made. Do not wait for your next routine appointment as your teeth may move whilst not wearing retainers. You will have to pay to replace any lost retainers at a current cost of £40.00 each. The department will maintain your retainers for 12 months, after your braces have been removed, and after this you should contact your general dentist to make any replacements. You should bring your retainers to your review appointments so that their condition can be checked. What do I need to know about bonded retainers? Bonded retainers are only placed for patients with certain types of “bites” and you must also wear an Essix Retainer to ensure your teeth remain straight. They must be checked by your dentist every 3-6 months. If they are not regularly checked you may get decay or gum disease around them without you noticing. If your bonded retainer breaks after 12 months, then your dentist should remove the bonded retainer and you should keep your teeth straight with an Essix retainer. An impacted tooth is simply a tooth that is blocked or ‘stuck’ under the gum and cannot erupt or grow into the correct position. Any tooth can become impacted but the most frequent tooth to be impacted is a wisdom tooth. Wisdom teeth become impacted due to a lack of space or because they grow in a poor position. As these teeth normally do not have a chewing or cosmetic purpose they are often removed when they start to cause problems. How common is an impacted canine? Canine teeth are important for chewing and for the appearance of a pleasing smile. As a result, every effort is made to try and align impacted canine teeth but sometimes this is not always possible or advisable. The upper canine teeth usually come into place between the ages of 11-13 years and your dentist will play an important role in detecting if there is an early problem with their development and, if this is the case, may refer you to a specialist. Why do canine teeth become impacted? There maybe a genetic element and another family member may have had a similar problem. Missing or odd shaped adjacent teeth resulting in lack of guidance for the canine. Extra teeth impeding their pathway. Uncover the tooth +/- have an attachment (a gold chain) placed onto the tooth and align the tooth with a brace. A fixed orthodontic brace will be placed onto your teeth and then a gentle force will be applied, usually via the gold chain, to the un-erupted canine tooth, to align the it into the correct position. You may also need to have an additional permanent tooth removed to allow space for the canine tooth. Create space for the impacted canine tooth and await eruption. Space may be created by the removal of the baby canine tooth and/or brace treatment. This treatment option is more successful in younger patients and for those teeth that are almost in the correct position. Remove the impacted tooth plus a course of orthodontic treatment to improve the position and appearance of the remaining teeth. If an impacted tooth is not treated it can remain buried and cause no problems. Alternatively it can continue to develop on the wrong path and may lead to root damage of the adjacent teeth, particularly the upper incisor teeth. This can result in the shortening of the incisor roots which may be a small to very severe amount. This is unlikely to happen after the age of 14. The baby canine tooth may be left in place and it could last a long time if it has a good root length. The baby canine is smaller and lighter in colour and its appearance is not quite as good as the adult tooth. The enamel of the baby canine tooth is softer and it therefore wears down or may become loose with time. If you decide to leave the baby canine tooth in place, you should be prepared that at some point in your life it may become so loose that it falls out and you will be left with a gap. A rare consequence of an impacted tooth is that a cyst may develop around it. If a canine tooth is left under the gum your dentist may check it from time to time to see if there are any problems with it. Remove the impacted tooth with no further need for orthodontic treatment. What happens if I decide to have orthodontic treatment? In order to determine the correct treatment for you, Mr I Edwards, Consultant Orthodontist, will examine your teeth and take x-rays to determine the position of the impacted tooth. Regardless of whether it is decided to uncover the canine tooth and align it, or extract it, you will be seen by the Oral Surgery team. They will meet with you so that you can discuss with them how your surgical treatment will be done. Depending on your individual case, you may have your brace fitted before your surgery or this may be delayed for a few weeks until your surgery is completed. Day case General Anaesthetic/Local Anaesthetic (Asleep/Awake)? You will have the opportunity to discuss with the surgical team your preference of going to sleep or being awake for uncovering the canine tooth or having it extracted. The decision will depend on how anxious you are about the procedure, the level of difficulty of the surgery and whether you need any other treatment carried out at the same time, such as extraction of other teeth. Generally, for removing impacted teeth you would be put to sleep, but it depends on how difficult the surgeon assesses the removal of the teeth would be. If the impacted tooth is to be aligned orthodontically and it is very close to the gum, the surgical team may just remove the skin overlying the tooth. If the tooth is deeper the surgeon would normally glue a gold chain onto the tooth. Once the gold chain has been stuck onto the tooth the overlying gum is then stitched back over and the gold chain will be secured to the outside gum with a black stitch. Your Orthodontist will remove this stitch 1-2 weeks after the operation. If the stitch drops out, resulting in the gold chain “dropping down,” it is not a problem and we will still see you at your next routine appointment. Even if you are put to sleep for the surgery, immediately after the procedure your mouth will feel numb as a result of the local anaesthetic. As it wears off, your mouth is likely to feel tender for a few days and before you leave hospital the staff will give you advice on pain relief. It is important to keep your teeth and gums clean and healthy, especially around where you have had the procedure done. You will be advised to rinse your mouth with warm salty water and/or Chlorhexidine mouthwash and brush your teeth well with a small headed soft toothbrush. You may require a couple of days off school or work. If you have not been seen by the orthodontic team for 4-6 weeks following the exposure of an impacted tooth, then you need to contact the department to make an appointment. What are the risks of having this procedure carried out? Infection – the area around the exposed teeth may become red, swollen and tender after the operation. It is important you keep the area clean to prevent this from getting worse. If you do experience these symptoms you should contact the Oral & Maxillofacial Department or your Dentist for advice. General Anaesthetic risk- all procedures carried out under General Anaesthetic pose a potential risk to life. It is possible that the gold chain may fall off the canine tooth before it has erupted into the mouth. This may mean that the procedure needs to be repeated. The blood supply to the teeth near the area of the operation may be disrupted. This can result in the nerves of these teeth dying. If the nerve of a tooth dies it can cause the tooth to discolour and/or become infected, and the tooth would require a root filling to be carried out by your dentist. There is always a possibility that the roots of the adjacent teeth could be damaged when the Oral surgeon is gaining access to the impacted tooth. There is a risk that the exposed canine tooth will not move when orthodontic force is applied. This can be a result of the tooth being fused to the jawbone. It is a rare complication and is more likely to occur in older patients. The teeth near the site of the operation may become loose after the operation. You should avoid eating hard or chewy foods until the teeth feel normal again. What do I do my gold chain has become loose after my operation? When a gold chain is glued onto the impacted tooth the surgeon will usually stitch the chain to the gum to keep it out of the way. Sometimes the black stitch can become detached from the chain before your appointment to remove the stitch, so that the chain hangs down in your mouth. Do not panic the chain has not come off the tooth. All that we would do is cut the chain a little shorter so that it does not flap around as much. Providing that the chain is not hurting you this can wait until your review appointment which is 2-3 weeks after you have had the gold chain placed. You are not likely to swallow the gold chain as it is glued to the tooth. An Orthodontic Mini-screw is a small screw/pin that is inserted into either jaw to help the orthodontist move the correct teeth and stop the wrong teeth from moving in the wrong direction. It does not hurt when they are placed. The orthodontist will freeze the gum first with some topical anaesthetic cream and then numb the area where the screw is going to be inserted with some local anaesthetic. Even after the local anaesthetic has worn off the screw rarely causes any pain. If you do have any discomfort then you should take a painkiller that you would normally take for a headache. Common situations in which mini-screws are used is when a patient’s front top teeth stick out or when there is crowding at the front of the mouth. In these situations the orthodontist needs the front teeth to move back, usually into the space created by the extraction of a tooth and the back teeth to stay where they are. The most frequent position for mini-screws to be placed is between the roots of the back teeth in the top jaw where they act as an “anchor”. Elastic forces may then be used from the screw to the front teeth to move them back whilst the screw maintains the position of the back teeth. Patient before the mini-screw is inserted. The upper right canine (eye tooth) is one tooth too far forward. Mini screw inserted between the roots of the first molar and second pre-molar to stop the back teeth from coming forward. First premolar extracted and an elastic from the mini-screw to take back the canine tooth. Canine tooth in correct place after a further 6 weeks. The most common problem is that 1 in 5-10 screws will fall out on their own or become very loose. This will mean that the orthodontist may elect to replace the screw or try a slightly different approach. 1 in 20 pins may break whilst being inserted and if this occurs they are usually just left in place without causing any problems. If the mini-screw contacts the roots of the teeth the orthodontist will normally have an idea that this is happening at the time and will put it in at a different angle or if it is not noticed at the time the chances are that it will become loose and fall out. How do I look after a Mini-screw? It is important that the area around the screw is kept clean so that it does not become infected. You can clean around the Mini-screw with a cotton bud soaked in Chlorhexidine mouth wash. After the Mini-screw has been placed you should rinse with Chlorhexidine mouthwash for 7 days. Do not play or fiddle with the Mini-screw. Do not use an electric toothbrush as the turning action of the rotating brush can unscrew the Mini-screw. What are my options if I don’t want a mini-screw? You could wear headgear, have more teeth taken out or accept that the end result will not be as good as what the orthodontist and you want. In all honesty there is nothing to worry about, putting in a Mini-screw is very straightforward. When is the Mini-screw removed? The mini-screw is removed when it is no longer required and this will usually be before the end of your treatment. If the Mini-screw becomes loose it will be removed as it will irritate the gum. Removing the screw is very straight forward. The orthodontist will only need to freeze the gum with anaesthetic cream. Although the government still accepts that patients with severely crooked teeth should have their treatment available under the NHS, there is now a ruling that milder problems, which are purely cosmetic, will no longer be funded. The distinction is made using the Index of Orthodontic Treatment Need or IOTN score. If you are not eligible for NHS treatment and wish to pursue the idea of having the treatment privately, Mr Edwards accepts private patients but his practice is limited to Wednesday evenings after 5pm in the Orthodontic Department at Halton General Hospital. If you would like to book a consultation then you can arrange an appointment by telephone (Tel 01928 753575 and ask for Pam Mallalue/Denise Pinnington). You may chose from regular stainless steel fixed orthodontic braces to more aesthetic appliances including ceramic (clear) and lingual braces (placed on the inside of the teeth). Orthodontic miniscrews or temporary anchorage device's (TAD’s) can also be used in some cases that require complex tooth movement. This may mean that you can avoid wearing headgear or have treatment with just braces instead of what traditionally has been treated with a combination of braces and jaw surgery. The consultation fee is £125. A consultation may be sufficient to fulfil your curiosity but if you go ahead with treatment then the consultation fee will be taken off the final price of your treatment. The cost of your treatment will depend on how complex your bite is, the materials the brace is made from (stainless steel/ceramic) and where you want the braces to be placed (inside our out). When your dentist refers you to the orthodontic department you will be asked to liaise with the reception staff to arrange a New Patient Clinic appointment that is convenient for you. This may be based at either Warrington Hospital or Halton General Hospital. It is important that you check your letter carefully so that you don’t attend the wrong clinic. An up to date list of any medication you are currently taking. Any study models, x-rays or correspondence that may have been given to you by your dentist or doctor. Parent or Guardian if under sixteen. An orthodontic assessment is very similar to a dental check up that you have at your dentist. There is absolutely nothing to worry about, the orthodontist will only be looking at your teeth. You will be seen by the Consultant Orthodontist, Mr Edwards but you may be assessed first by an orthodontic trainee, working under his supervision. First of all, we'll look at your teeth and jaws and maybe take an X-ray picture. We will then chat with you to try to find out what you think about the way your teeth look and how you feel about wearing a brace. This orthodontic assessment takes around 20 minutes. If you need an X-Ray you will have to go the X-Ray department and this can add on time to your visit to the department. Be discharged from the orthodontic department and referred back to your dentist or an orthodontist in a dental practice setting. Another appointment will be made to discuss your treatment further. In all cases a detailed diagnosis and treatment plan will be sent back to your dentist, a copy of this will be sent to you or your parent/guardian. You will also be given information leaflets to take away with you if you need any further information. You should be aware that the department only has appointments between 9.00AM and 4.00PM. Almost all patients will have to come to their appointments between school and work hours and you should make sure that this is acceptable to you before commencing your treatment in the department. If you are offered treatment in the department you will need to attend for appointments approximately every 6-8 weeks and this could be for over two years or longer depending on the nature of the treatment you require. The Orthodontic Department is situated on the ground floor in the Appleton Wing. The main hospital car park is situated to the left of the main entrance off Lovely Lane. The Orthodontic Department at Halton is situated on the same level as the main entrance (entrance 1). If you come into the hospital from entrance 2, it is on the upper level and is situated near to the x-ray department.